Actress Nayanthara visits Golden Temple at Amristar. 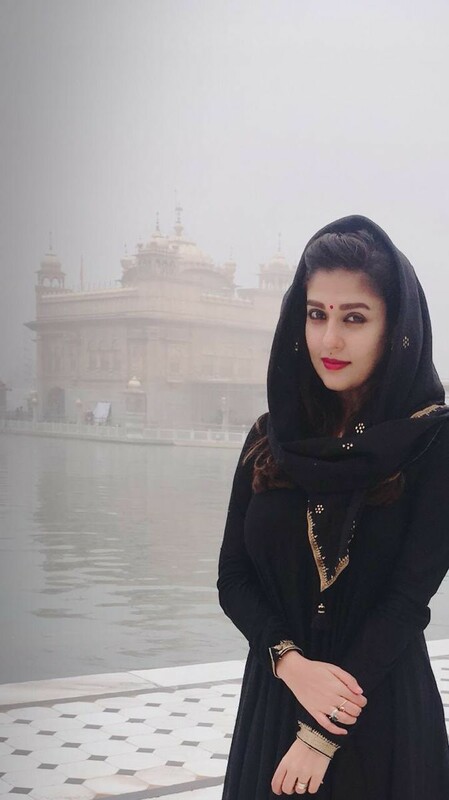 South Indian actress Nayanthara recently spotted at the world famous Golden Temple at Amritsar. Nayanthara is seen standing in front of the temple, in a black salwar and wearing the shawl over the head.